Durect | A biopharmaceutical company, acquired ALZET Osmotic Pumps. DURECT is a biopharmaceutical company developing therapeutics based on its Epigenetic Regulator Program and drug delivery platforms which improve quality of life for patients with chronic, debilitating diseases and conditions. To accomplish this goal, DURECT offers a broad range of innovative drug delivery systems essential to controlled-release drug delivery. 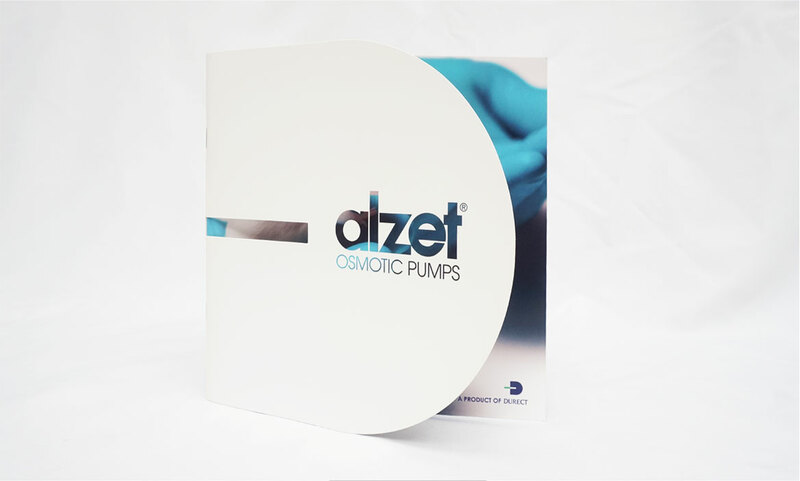 In April of 2000, DURECT acquired the ALZET Osmotic Pumps product from ALZA Corporation. 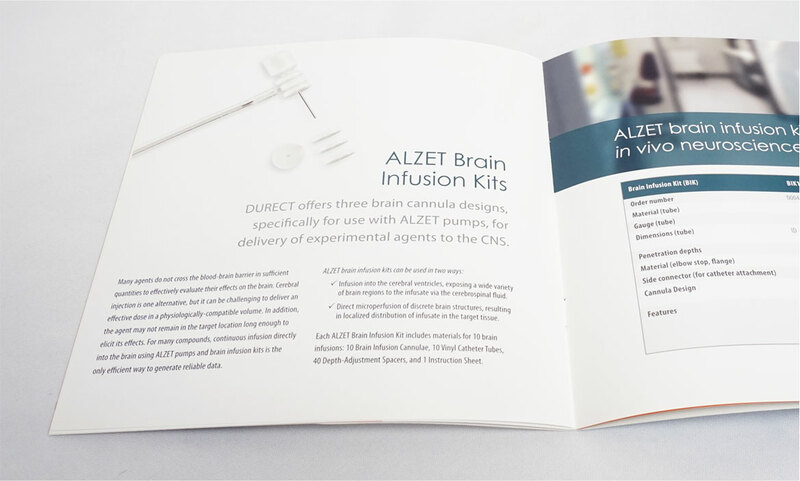 DURECT reached out to dystrick to create a product sales brochure to help promote ALZET Osmotic Pumps. 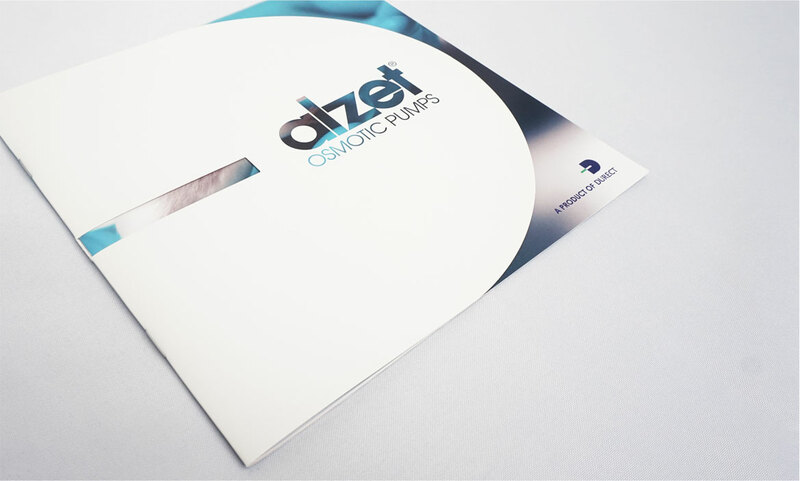 The brochure design and layout needed to produce a strong first impression and present ALZET as a market leader. The design is uniquely different from other brochures, visually appealing but at the same time distinguishes ALZET from their competition, well-written (sparks curiosity and satisfies a need for information) and well-planned meeting DURECT’s design goals. Please contact us for more info. 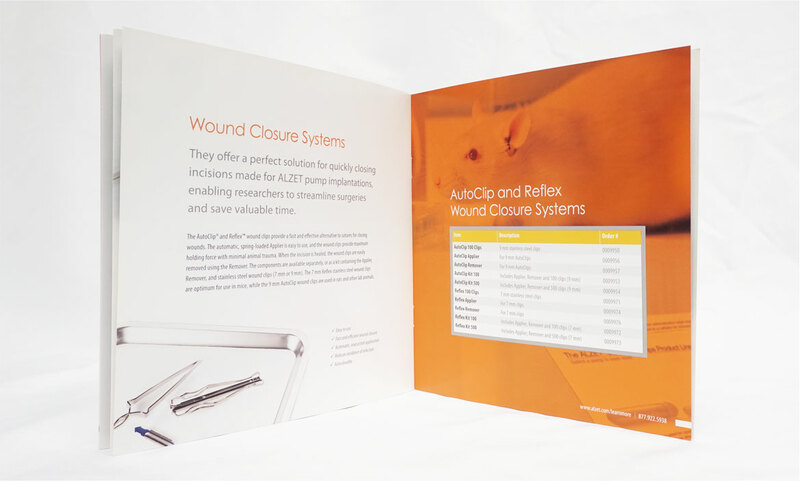 We all need to stand out from the crowd occasionally, and this rings true when it comes to product brochures and one feature that can set you apart is the use of a die cut. In Durect’s case we wanted to set them apart with a unique D shape so that a potential customer would do a double-take and take a closer look.